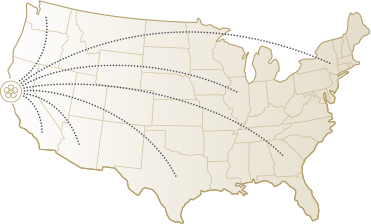 Your wine is picked up using our refrigerated trucks and then staged in our climate controlled, fully-secured wine-storage facility while being prepared for shipment. If you need us to hold your wine until you’re ready to receive it, we can store it for you in your own private vault in our state-of-the-art wine storage facility. 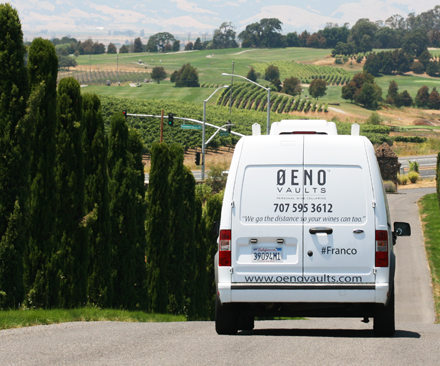 Tell the winery you’d like to use Øeno Vaults Shipping. Call or go online to set up your shipping account. Provide your desired shipping address. and where you want it.